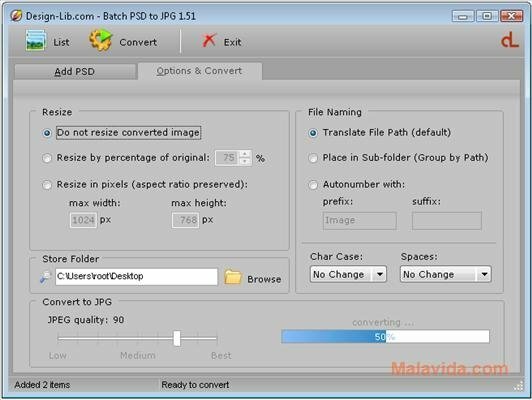 The PSD file format is used by Photoshop when it comes to saving an image, and it includes all the necessary data to be able to work with an image with this great image editor. But it is a format that many image viewers can't show, thus to be able to see them it is always advisable to have an application like Batch PSD to JPG. Convert your PSD files into JPG in an extremely easy way. With Batch PSD to JPG all you have to do is select the PSD images that you want to convert, choose where you the JPG files that will be generated to be stored and decide the quality you want the files to maintain. 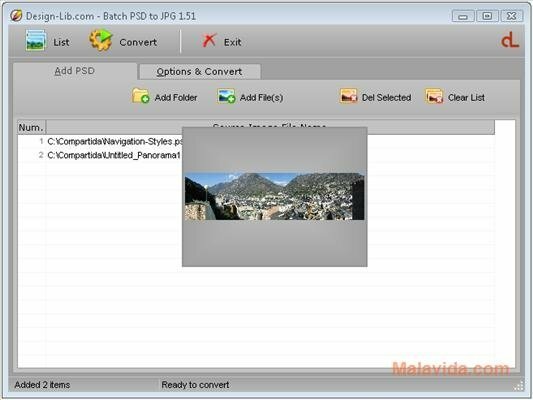 As well as the conversion in itself, Batch PSD to JPG also gives you two additional options, like the possibility to change the size of all the images and rename all the files with a name indicated by the user. Therefore, if you want the chance to view the contents of any PSD file without having Photoshop installed, all you have to do is download Batch PSD to JPG on your computer. This download requires that Java 1.6 is installed.